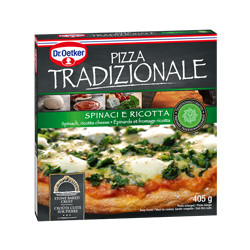 Save $1.00 on any one (1) Dr. Oetker Tradizionale pizza, any variety (370G – 405G). Register or log in to your Save.ca account to order your coupon by mail or print. Get a 2nd coupon from the Walmart coupon portal.